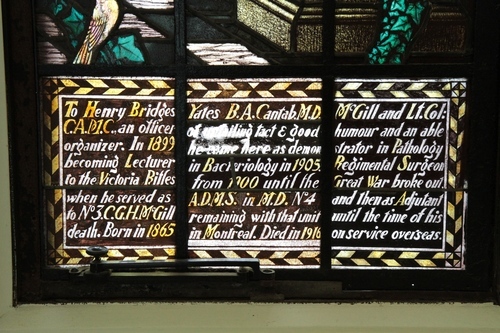 In 1919, Percy Nobbs, who designed many buildings for McGill University, was commissioned to create a stained-glass window commemorating the members of the Medical Faculty who fought or died in World War I. 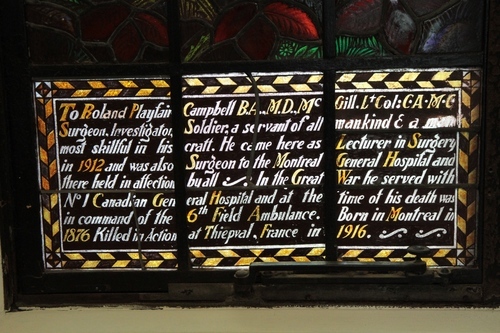 The deep colours of this large work still illuminate the second floor hall of the Strathcona Medical Building1 in Montreal. 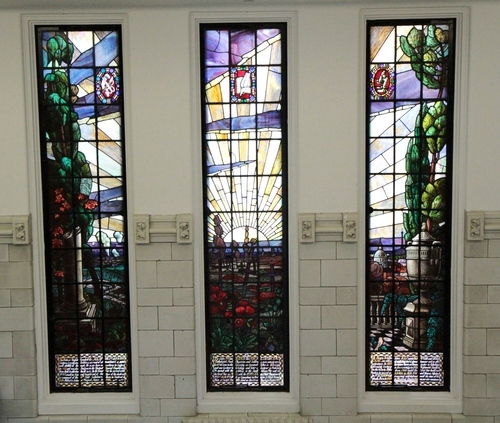 The memorial "given by the members of the teaching staff of the Medical Faculty" was inaugurated "on Octovber 5th", 19222. 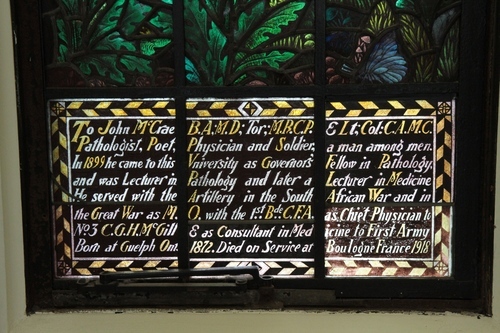 In the inscriptions at the base of the windows there is a specific mention of surgeon Roland Playfair Campbell, of pathologist and poet John McCrae and of bacteriologist Henry Bridges Yates. 1. Retrieved from the Virtual McGill official website. 2. See BMJ, 9 december 1922, p. 1141.